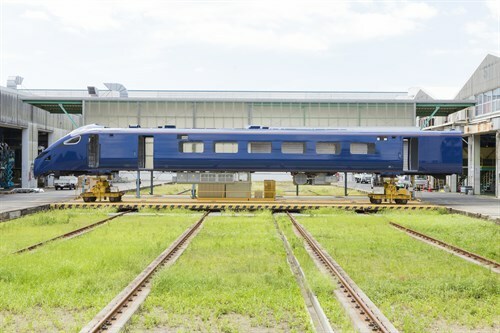 Work to construct the first shell of Hull Trains’ new hi-tech Hitachi fleet has been completed, new pictures have unveiled. 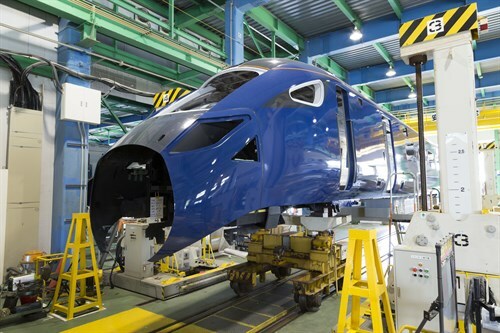 The new trains, set to run from December 2019, form part of a £60 million investment Hull Trains is making to improve its services for customers. The operator will replace its current fleet of Class 180s with five new intercity Class 802 trains, financed by Angel Trains. These hi-tech trains will operate using both diesel and electric traction, which means that Hull Trains customers will benefit from the East Coast Mainline’s electrified track. Hitachi has used its Japanese bullet train technology to make the trains light and aerodynamic. The trains speed and bi-mode capability contributes to reduced journey times and higher top speeds of 225 km/h. Customers will also benefit from 20% more seating capacity compared to current services, as well as new interiors for greater customer comfort. Decisions have also been made to ensure the interiors are brighter, more spacious and streamlined, further adding to the positive experience that is the main focus of the Hull Trains team. The new fleet will also be quieter and more environmentally friendly - the new trains reduce harmful emissions by up to 90% compared to other trains using the East Coast Mainline. Louise Cheeseman, managing director of Hull Trains, said: “We’re very excited to confirm this latest development in the investment of our new fleet. Now that the body of our first Class 802 is complete, we can show passengers a first glimpse of what our new services will look like. The shells of the new trains are being built at Hitachi Rail’s manufacturing plant in Kasado, Japan. 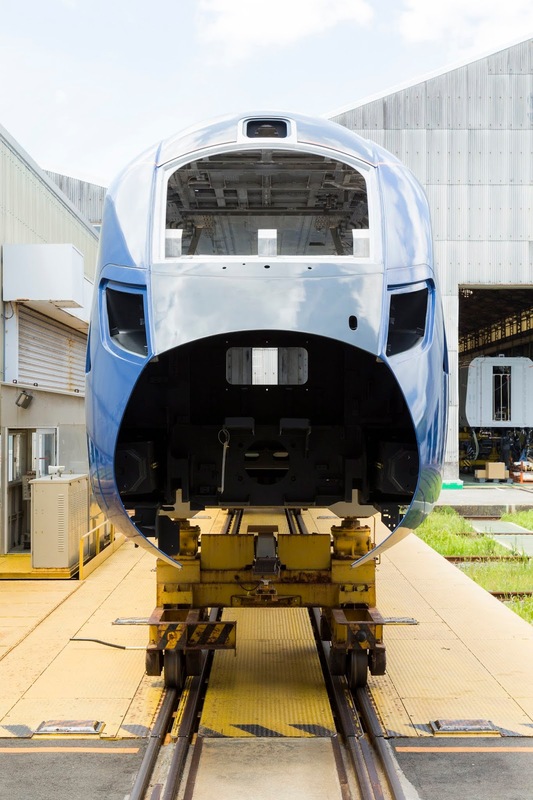 The trains will then be completed at Hitachi’s site in Pistoia, Italy before being tested and shipped to the UK for use on the East Coast Mainline next year.